You’re probably thinking: Lobster? Scallops? Lump Crab Meat? 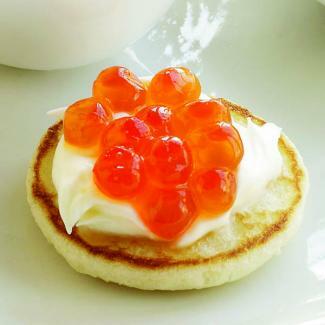 and now CAVIAR? Does this woman think I’m made of money? Even though this was my last dish, I’d recommend serving it first, with a glass of champagne. Voila, and MERRY CHRISTMAS!